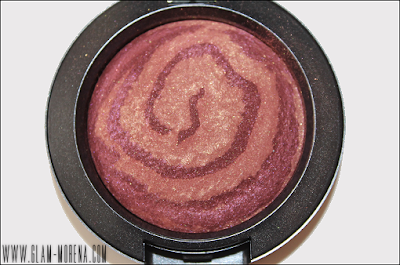 Glam Morena: MAC Heavenly Creature - Mineralize Blushes. 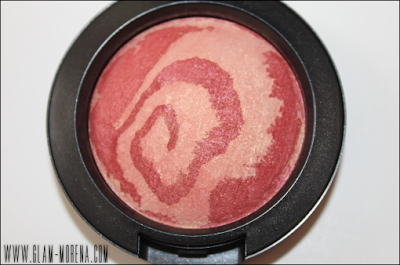 MAC Heavenly Creature - Mineralize Blushes. 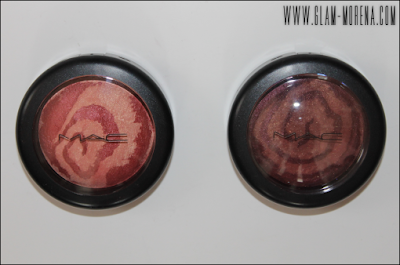 I picked up a few items from the MAC Heavenly Creature Collection. 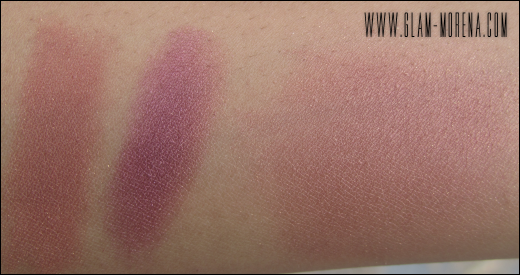 I'm going to post some close ups and swatches of the products over the next few days. Don't forget to click here to check out my Heavenly Creature Haul! Description: Baked minerals refined into a powder formula to provide exceptionally sheer and lightweight application. Colour builds lightly, layer after layer, without heavy coverage. Veils and enhances the cheekbones with a luminous, pearlized shimmer. 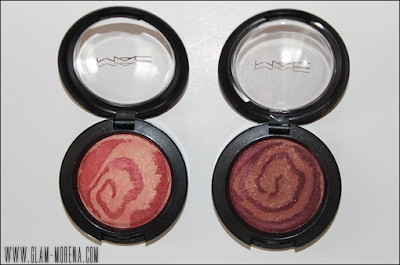 MAC Heavenly Creature Mineralize Blushes in Saturn and Stratus. Swatch of the MAC Mineralize Blush in Saturn. Swatch of the MAC Mineralize Blush in Status. 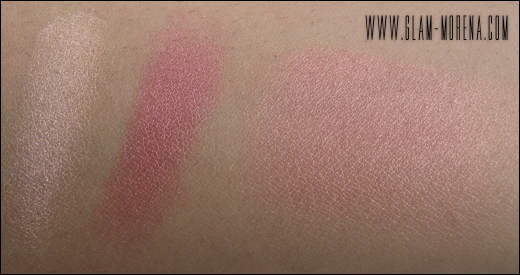 Did you purchase Mineralize Blushes from Heavenly Creature? Thoughts? Favorites? ugh...now after seeing your swatches I feel like I need Saturn. I am curious do you ever have issue with Mac's mineral products breaking your skin out?